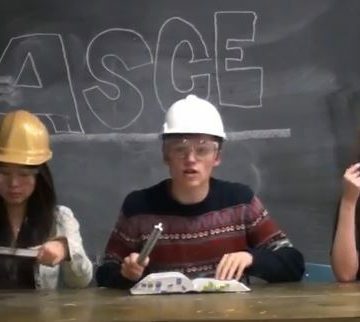 A standout entry in ASCE’s 2014 Student and Younger Member Video Contest. When you pose a challenge to civil engineering students, you’ll find they think innovatively to create the best solution possible. That’s no surprise to many faculty advisors who have worked with ASCE student chapter members over the years. They’ve seen these students bring all the skills they have at their disposal. 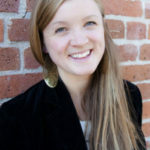 In fact, Lori Troxel, Ph.D., P.E., F.ASCE, Faculty Advisor at Vanderbilt University said the moment junior civil engineering student Zach Elliot heard about the ASCE Musical Video competition, he swung into action and took charge of creating Cantilever – Vanderbilt’s entry for the competition. Not only did Zach have the idea for the video, he sang the vocals, played a starring role in the video, and edited the final product. According to Zach, the video was filmed all around Vanderbilt’s campus (especially the engineering building, Featheringill Hall) and also downtown at Cumberland Park. Zach didn’t work alone – 20 of Vanderbilt’s ASCE Student Chapter members helped create the production, putting in between 50 and 75 hours to produce the three and a half minute video. The Vanderbilt team offers just one more example of the exceptional creativity and talent our future engineering workforce has to offer this profession.